Venue: conference hall of SCTMS (12, Novo-Sadovaya St.). 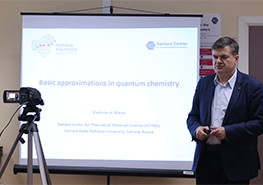 Special knowledge of quantum chemistry is not required. Everyone interested is invited!